They didn't waste any time, did they? Those villagers grabbed their torches and pitchforks as soon as they heard about Frankenstein's monster. They didn't even ask any questions or try to see things from Frankie's point of view. They just started yelling at the poor guy! Maybe if they asked him how he was doing, then they'd find out that he's not really such a bad guy. Maybe the reason for all of his strange behavior and grumbling is because the sun is in his eyes. Did anyone ever think about that? Maybe he just needed a pair of these Frankenstein sunglasses! 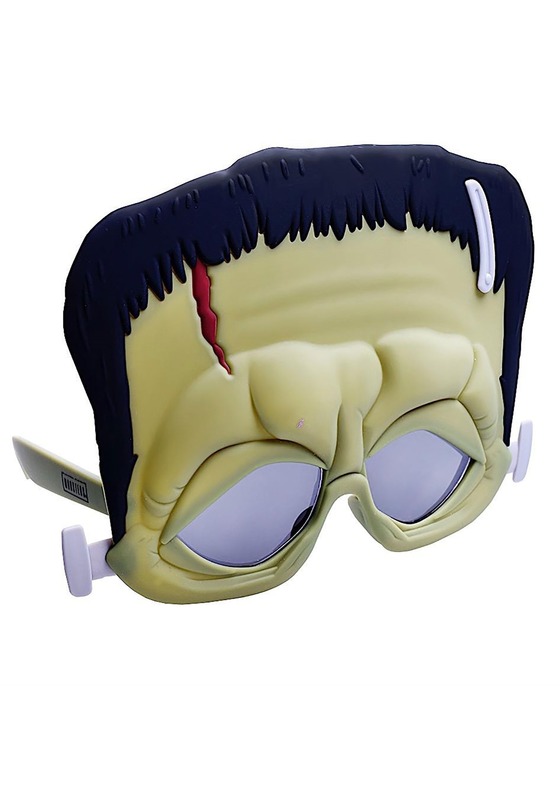 These Frankenstein sunglasses are inspired by the classic Universal monster! The frames are molded to look like the monster's face, complete with a fake scar and metallic bolts on each side. The lenses are made from shatter-resistant material and provide complete UV protection, so those sun's rays won't harm your eyeballs! Perhaps instead of grabbing their pitchforks, the villagers should have handed Frankenstein's monster these sunglasses. Then, maybe the tragedy that happened in the film could have been avoided and everyone could have enjoyed a nice trip to the beach instead.